Unlike A Woman Without Love, Luis Buñuel was actually very fond of Subida al cielo (Mexican Bus Ride), a film based on a series of colorful, real life incidents witnessed by the film’s writer and producer, poet Manuel Altolaguirre, and his Cuban wife Maria Luisa. (Buñuel and Altolaguirre met at the Residencia de Estudiantes in Madrid and would work together for the first and last time on Mexican Bus Bride during their mutual exile in Mexico.) It is a beautiful, spiritual film, albeit messy. In the church-less town of Costeño, ancient rituals are used to marry young couples. Oliverio (Esteban Márquez) and his bride sail to a nearby island for their honeymoon (“The island will be Paradise with you,” he says when she speaks of a preferred, more traditional excursion to Mexico City) before his brother Felipe (Víctor Pérez) informs them of their mother’s impending death. Doña Ester (Paz Villegas) asks that Oliverio ride to Petalán and look for Figueroa the lawyer so he can write up her last will and testament. Aboard a dilapidated bus operated by the noble Silvestre (Luis Aceves Castañeda), Oliverio must negotiate Mother Nature’s unpredictable whims, the law of the land and the advances of the coquettish Raquel (Lilia Prado). The series of events that befall Oliverio during this brutal bus ride come to represent the struggle of the film’s Mexican collective. The film’s literal English translation, Ascent to Heaven, is more representative of the film’s ethereal, spiritually melancholic tone. Even if the film’s comedic undertones prove distracting, there’s no denying the potency of its small miracles. Oliverio’s experiences evocatively rewrite themselves in dreams—he makes love to Raquel inside a fern-filled bus, his body connected to that of his mother’s via an umbilical cord made out of a potato’s peeled skin. Quite simply, Mexican Bus Ride is about the natural order of things. Soon after a child is born aboard the bus, Buñuel parades the coffin of a young girl before the film’s travelling Mexicans. “Yesterday a child was born here. Today, another goes to heaven,” says one of the film’s passengers. Mexican Bus Ride’s political subplot is superfluous but the film, like John Sayles’s similarly-themed Hombres Armados (Men With Guns), acknowledges and celebrates those miraculous moments (pit stops, if you will) one must face on one’s ascent to enlightenment or, in this case, heaven’s gate. 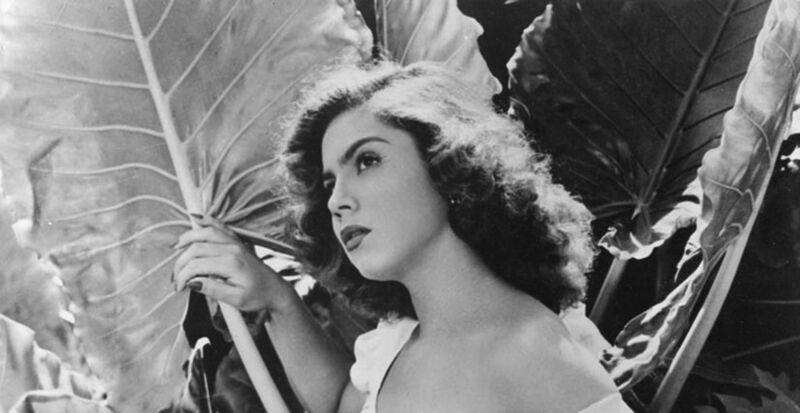 Mexican Bus Ride won a special jury prize at the 1952 Cannes Film Festival.